As we’ve mentioned before, Ubuntu is the world’s most popular operating system for OpenStack. OpenStack is, in fact, built on Ubuntu, and its cycles of development are based on Ubuntu’s release schedules. In the public cloud, Ubuntu as a guest OS has also proven to be the developers’ choice, with roughly two-thirds share of VMs on the major public cloud platforms. Through our Certified Public Cloud programme we work with our partners – AWS, Microsoft Azure, Google Cloud Platform, Joyent, VMware and many others – to provide the best developer experience – optimized, fresh and secure images, pushed frequently to partners’ cloud compute platforms. Bottom line, if you’re using an Ubuntu Certified cloud, you can be confident that Ubuntu will just work, and that our stellar team will be supporting that cloud in the background. Naturally, we’re especially happy when a cloud provider who runs on Ubuntu and is an OpenStack pioneer like us joins our Certified Public Cloud programme. Montreal-based VEXXHOST, whose infrastructure is largely powered by OpenStack, is an OpenStack corporate sponsor and a household name in OpenStack circles. They are also our first Canadian partner on the programme, with over 10 years of experience in the web hosting business. You can find out more about what VEXXHOST has in store for you here. And while you’re at it, they also have a bunch of pretty cool Ubuntu tutorials that you might want to check. 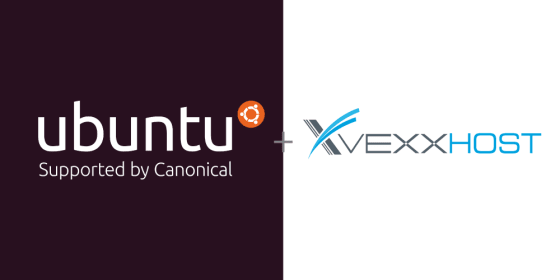 Finally, in line with this announcement, VEXXHOST’s got some awesome specials for customers when you try out Ubuntu on their cloud: there’s a 50% discount on all regular cloud servers and $10 free credit when you try out their public cloud.